While they’re rare in today’s world, Agricultural Education classes are important to a large number of students across the country. The field will never stop being important to our economy or sustainability, which is why the next generation of agricultural experts needs competent instructors to guide them within the field. This is where you, an aspiring agricultural educator, come in. You’ve studied and prepared for years to earn your certification and take up working officially in the classroom. However, if you’re going to be teaching in the state of Oklahoma, you’ll also have to take and pass the OSAT Agricultural Education exam. Like the other exams under the OSAT umbrella, the OSAT Agricultural Education exam is designed to evaluate your knowledge and competency with regards to the skills you’ll need in the classroom. There’s no way to get out of taking this important exam. Without earning a passing score, you won’t be able to embark upon your teaching career. To help you prepare to the best of your ability, the Mometrix Test Preparation team has put together an OSAT Agricultural Education (042) practice test. Designed with accuracy in mind, this OSAT Agricultural Education practice test is meant to help you familiarize yourself with the contents and formatting of the real exam. You can effectively use this resource to not only get to know how the test will work, but learn your own strengths and weaknesses with regards to the material. Like the full exam, our practice test contains 81 OSAT Agricultural Education practice questions total, which split into two distinct subareas. Only one question falls under the “constructed-response” subarea, which covers the Foundations of Agricultural Education (15 percent). 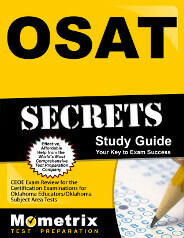 While this practice test is effective on its own, it pairs well with our companion OSAT Agricultural Education study guide. Feel free to use both resources in conjunction with each other for a more thorough study experience. Good luck and study hard!